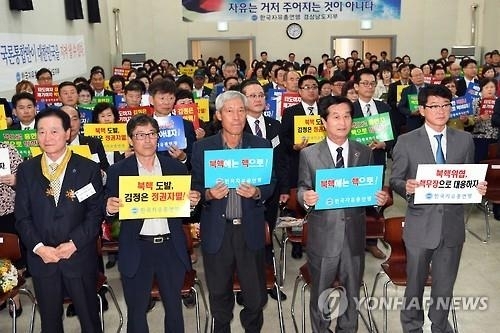 SEOUL, Oct. 25 (Yonhap) -- South Korean politicians and scholars advocating the development of nuclear weapons are no longer remaining silent as Pyongyang's provocations, including its fifth nuke test, are sparking growing calls in Seoul for more aggressive countermeasures, pundits here said Tuesday. While such claims were previously ignored not only by the opposition bloc but the general public as a whole, and were seen to jeopardize its strong alliance with the United States, the latest surveys conducted after North Korea's nuke test, which took place on Sept. 9, are showing clear signs of the shifting times. 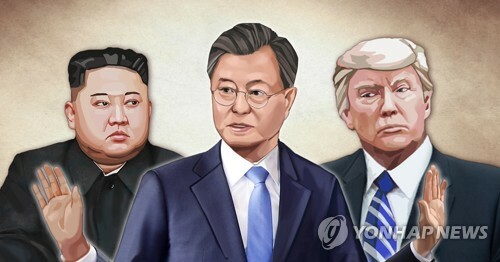 A poll conducted by Gallup Korea on 1,010 South Koreans last month showed 58 percent of the respondents agreeing to South Korea's nuclear armament scenario, while 34 percent expressed opposition. It marked a slight increase from 54 percent posted in January, when Pyongyang conducted its fourth nuclear test. 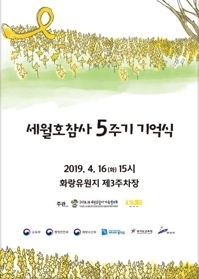 After the fifth nuclear test, another research by MBC, a major South Korean broadcaster, and pollster Research & Research showed 65.1 percent of the people supporting such aggressive countermeasures against the North. The seemingly hawkish survey, however, does not necessarily mean such an aggressive stance has emerged as a mainstream voice here. The South Korean government has repeatedly claimed it will continue efforts to make the Korean Peninsula a nuke-free area, ruling out such an option, despite heated rhetoric directed toward the North. In September, President Park Geun-hye said North Korean leader Kim Jong-un "does not listen to anything from the international community," and that his mental state is "uncontrollable." 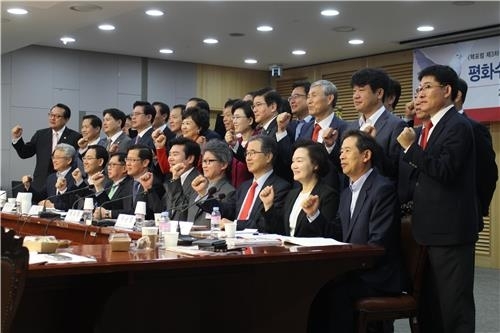 Most mainstream political observers have said while there is growing consensus that something needs to be done to better protect the country, it is not likely South Korea will take drastic steps in the near future. They, however, say it is worthwhile to openly discuss outlying issues, adding there must be an effort to bring the public voices together. If South Korea were to go the nuclear route, according to scientists, there is no doubt it has enough capabilities and technologies to produce nuclear weapons in short notice. "South Korea has sufficient financial and technological capabilities to build up a nuclear deterrence if it wants to," said Suh Kune-yull, a professor of nuclear engineering at Seoul National University. 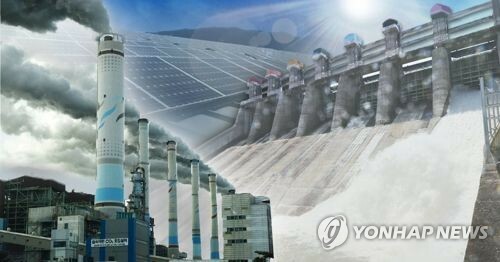 "We have more advanced nuclear-generation technologies compared with Britain, Russia and China," Suh added. "Within only two years, we are capable of making our own weapons that can easily surpass anything the North can have. "The country has around 25 nuclear power plants in operation. 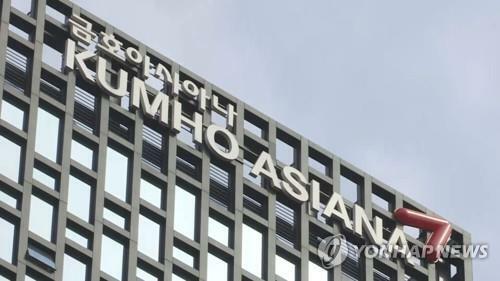 It is emerging as one of the world's top three leaders in the area, beating Russia and Japan, whose competency tumbled after the Chernobyl and Fukushima disasters," Suh said. He pointed out that while Seoul does not have any nuclear weapons, it can obtain technologies to enrich uranium and extract plutonium at any time. While some cast concern whether South Korea would be allowed to leave the Treaty on the Non-Proliferation of Nuclear Weapons (NPT), experts say any member country can make the decision to legally do so if their national security is endangered. Article 10 of the NPT makes clear that each party shall in exercising its national sovereignty have the right to withdraw from the treaty if it decides that extraordinary events have jeopardized the supreme interests of its country. For those that oppose South Korea going nuclear, however, technology or NPT-related issues are not the main issues. 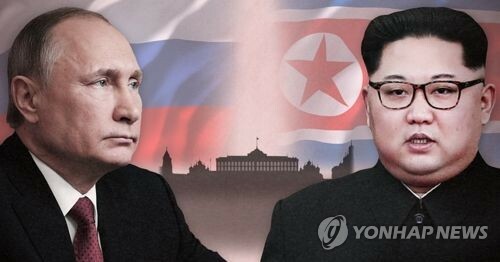 Surrounded by not only North Korea, but China, Russia and Japan, pundits say Seoul will face strong diplomatic and economic retaliation from strong powers, adding its long-standing ally, the United States, will not be pleased with a decision involving Seoul getting nuclear weapons. South Korea is already trying to soothe Beijing and Moscow over the deployment of an advanced U.S. missile defense system in the country. "If South Korea announces its secession from the Non-Proliferation Treaty and heads towards nuclear armament, the international community will discuss, adopt, and implement various pressures and sanctions in the short term," said Choi Kang, a researcher at the Asan Institute of Policy Studies. 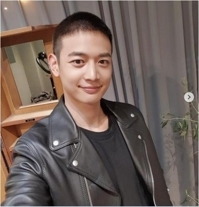 "But if a certain amount of time passes, we may seek to normalize relationships, although there will be some forms of economic sanctions," Choi added. 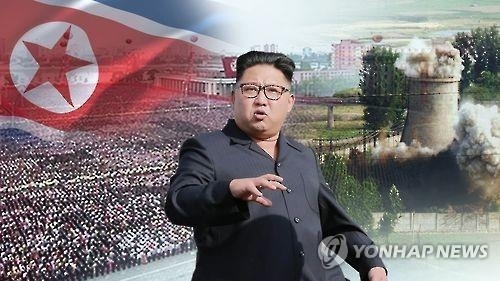 Cheong Seong-chang, a North Korea researcher at the Sejong Institute think tank who openly advocates the armament plan, said any sanctions against the South will not last for long, and that the Seoul-Washington alliance will eventually remain tight. 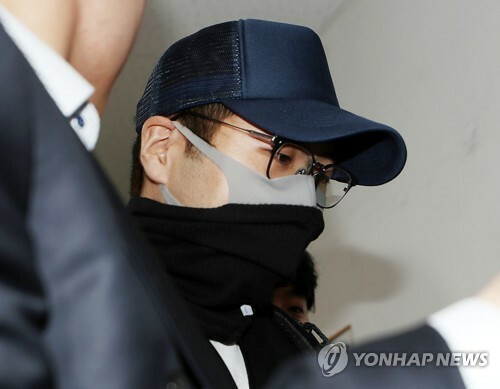 "Some people say that the alliance will be damaged, but such claims lack basis," Cheong said. "There are limitations for Washington to seek a balance with China only through its ties with Japan. South Korea and the U.S. share common interests, and therefore, their ties will be unharmed." The researcher added South Korea's nuke armament does not necessarily mean Seoul breaking away from the military alliance with Washington but is aimed at easing the dependency. "If South Korea owns nuclear weapons, we no longer have to depend heavily on the Seoul-Washington cooperation. We can head towards a more balanced, equal and healthy alliance," Cheong said. 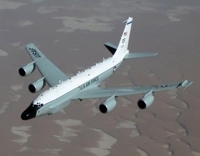 "South Korean nukes can also help U.S. security. North Korea would no longer have time and resources to develop ballistic missiles aimed for the U.S. mainland when we have nukes here," he added. Cheong said South Korea will also be able to persuade the neighboring countries that Seoul's nuclear armament could benefit them in terms of security. 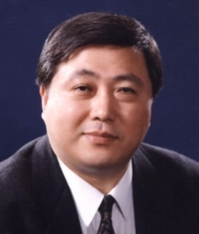 "For example, we can ask China if they would rather have South Korea maintain inextricable ties with Washington or stand with leeway in the realm of military and diplomacy," Cheong pointed out, adding Seoul's excessive dependency on the U.S. may emerge as a burden for Beijing, as South Korea may not be able to refuse Washington's request to deploy military facilities aimed at China down the road. Experts said the same logic can also be applied with the Seoul-Moscow ties, adding both China and Russia would prefer to have South Korea as a balancer, rather than be placed under Washington. In the economic sphere the country could face a short-term tumble, although the impact will not last for long, experts said. "South Korea would most likely weather the storm considering the precedent of India," Charles D. Ferguson of the Federation of American Scientists said in his paper "How South Korea could acquire and deploy nuclear weapons." "In May 1998, India conducted nuclear explosive tests and was subject to sanctions. But the sanctions did not last much longer than a year," the paper added. "While India was not producing many coveted goods at that time, its huge population offered an enticing market and, as a democracy, was seen by the United States as an important counter to communist China's rising military strength." 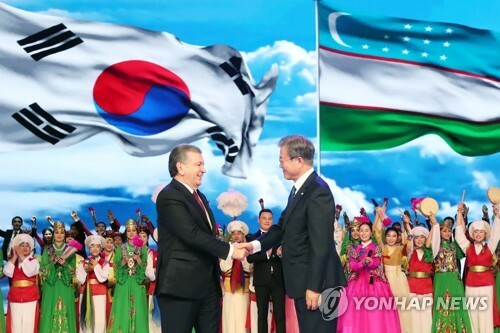 Cheong echoed the view, adding neighboring countries may consider their traditional alliance with South Korea more important than controversies surrounding nuclear weapons. "Even if North Korea develops nukes, it is highly unlikely that Pyongyang will aim them at Beijing. 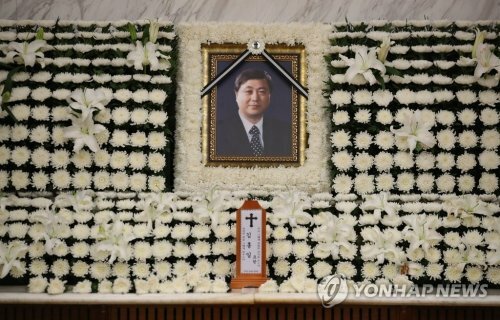 The same relationship applies to Seoul and Washington as well," Cheong said. "Although there may be short-term repercussions, breaking ties would also adversely impact the U.S. economy. "If South Korea's economy is severely damaged (due to the sanctions by the U.S.), the people will grow a hostile sentiment towards Washington. 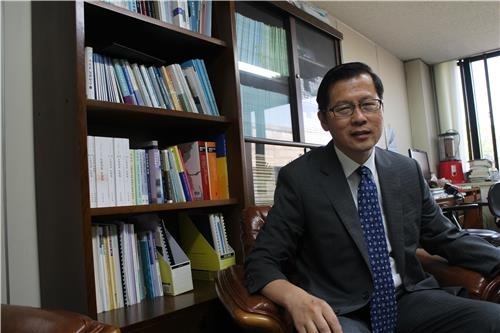 This could result in Seoul establishing stronger ties with Beijing," Cheong added. "If the economic connection between South Korean and the U.S. weakens, it would eventually lead to the reduced presence of Washington in Northeast Asia." Other experts, however, claim such perception is misguided, adding South Korea will not be able to develop its own nukes considering the status quo of international politics. 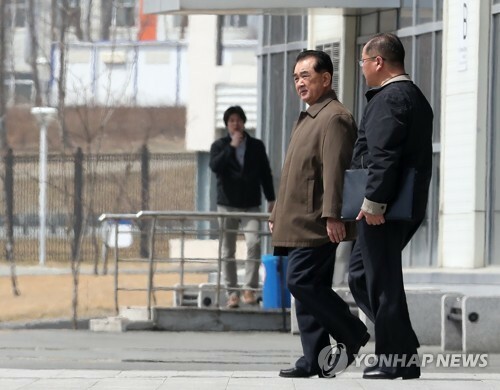 "If we seek to develop nukes, it will result in the rupture of the alliance with the U.S.," said Kim Young-hyun, a professor of North Korean studies at Dongguk University. "Once we have a nuke, we would not be able to stop the so-called domino of nuke armament among neighboring countries. We would also loose the logic to stop Pyongyang's provocations." Kim added there would be "tremendous" sanctions from the international community, adding past examples do not necessarily predict the future. "Situations are different here. India and China held uncomfortable relationships, and the U.S. considered Indian nukes to be useful in seeking balance with China amid the Cold War," Kim said. "Things changed after the end of the Cold War. 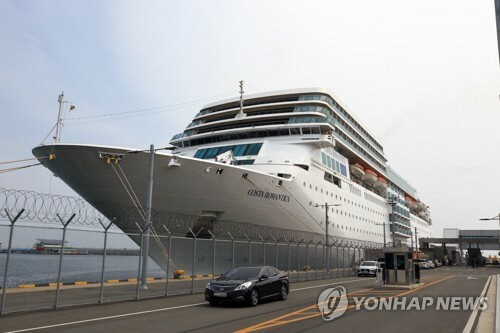 "South Korea makes its living through exports. We should look how the U.S. and the world slap sanctions on North Korea. Virtually, it is impossible for us to develop nukes."